There’s no better place to go for a captivating coastal adventure than Wilmington, the gateway to Cape Fear and the barrier islands. Don’t let the name fool you, however! You're sure to have more fun than fear when you include these not-so-scary things to do in Cape Fear on your vacation itinerary. 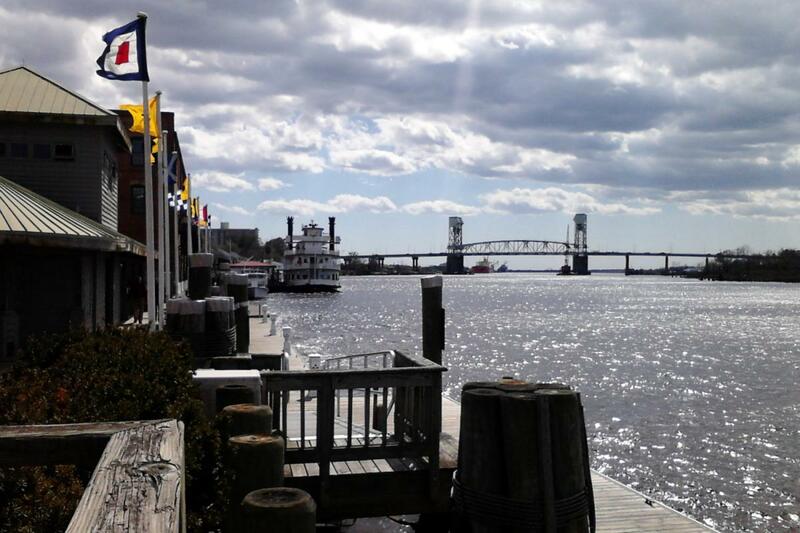 For the best of North Carolina and local lore, make plans for a day visit to the Cape Fear Museum. Enjoy the Cape Fear Stories exhibit, Space Place, or tip-toe past a replica of North Carolina’s Giant Ground Sloth. Enter the Play Time! exhibit to explore fun activities like art and origami, fun mirrors, and more! The museum also features a beautifully landscaped park area with hands-on educational exhibits related to local weather, flora, and terrain. “Welcome to the Railroads” is the artful greeting of an abstract train conductor and engineer, in sculpture form, that marks your arrival at the Wilmington Railroad Museum. Kids rule the rail-yard with interactive play in the Children’s Area, and three large-scale train models throughout the museum bring out the kid in visitors of all ages. Hundreds of railroad artifacts tell the story of how railroads built and connected the many regions of our country. Everyone can hop aboard the real-life steam locomotive, railroad cars, and caboose on display outside the museum. Across the river from Wilmington's downtown area, the USS North Carolina Battleship lies in wait for you and your crew to take a tour. You'll experience the reality of daily life and wartime heroism in the United States Navy aboard this permanently moored World War II vessel. A guided tour, war-time photos, and historical exhibits work together to tell the story of the ship's brave sailors who defended freedom against the great Pacific Threat and continue to do so today "in memoriam" aboard the USS North Carolina Battleship. For the true history buff, you can relive the Cape’s Civil War history at Fort Fisher, a strategic port-of-call for Confederate and Union arms suppliers and blockade runners during the Civil War. The fall of the Cape's Fort Fisher and its significant ports to Union forces signaled the turn of the war's tide and the South's eventual surrender. The Fort Fisher visitor center exhibits many artifacts, photos, and documents that keep the important history of the Civil War alive. For a less serious fun-and-sun-adventure, further pleasure awaits on Pleasure Island’s Fort Fisher State Recreation Area near the North Carolina Aquarium. Enjoy convenient park amenities and a scenic oceanfront boardwalk while you explore this pristine shoreline. Airlie Gardens is a garden gem in the heart of Wilmington. Two yearly events, an October Oyster Roast and its spring Azalea Festival, bring in visitors from other ports far and wide. Feel free to book a reunion, wedding, or other special event with all the necessary park amenities included. Before leaving the park, don’t forget to say “hello” to the park’s oldest living resident, the famous Airlie Oak (circa 1545). Looking for a park lover's paradise? Wilmington's Greenfield Park and Gardens is a 250-acre recreational haven, or is it "heaven?" You'll believe it's both at Greenfield Park. It's many attractions include a lake, tennis courts, a 5-mile walking trail, outdoor theater, boat rentals, playgrounds, picnic shelters, and grills. The Colonial era comes to life at the Burgwin-Wright House & Gardens in Wilmington. Go back in time to the 1700’s for a realistic view into the everyday lives of Cape Fear residents before the American Revolution. Guided tours bring to life the story of this house, its architecture, its former residents, and its importance in preserving early Colonial American history. See how the other side lived in 1850’s Wilmington when you visit the Latimer House Museum and Gardens, a decadent Italian-style period home featuring 14 rooms and more than 600 period artifacts displayed throughout the property. This popular house/museum can be toured as a stand-alone activity, but it's also featured in many of Wilmington’s guided walking tours. The Latimer House stayed in its original family ownership for nearly 100 years until the The Lower Cape Fear Historical Society purchased it in 1963 for historic and preservation purposes. With so many not-so-scary things to do in Cape Fear, you'll make the most of your fun by land and by sea at Cape Fear on the North Carolina coast. Find more things to do in Wilmington by registering on 910area, your free guide to everything in the Wilmington and Fayetteville area.